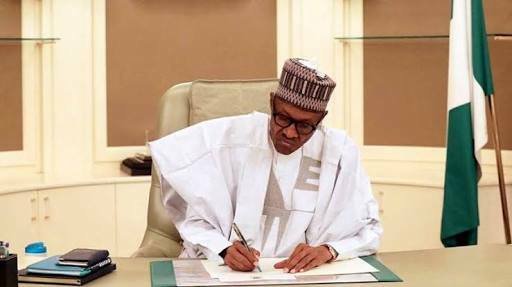 Home Resignation Is Resumption or Abdication the main Alternatives for Buhari? Is Resumption or Abdication the main Alternatives for Buhari? The recent protest calling for the resignation or resumption to duty of President Muhammad Buhari has sparked constitutional discourse on whether the stay of the President in the UK legally or even morally hang an obligation on his neck to resume or resign. One point that is worthy of note is the fact that the situation that we are now is different and the constitution that we have today is also different from that which we had during the time of Late President Yar’adua. Walking down memory lane, the treatment of the then President Umar Musa Yar’adua abroad and his long term absence has caused an uproar calling for his impeachment or in the alternative, his resignation. Indeed based on the then unaltered 1999 Constitution of the Federal Republic of Nigeria, a vacuum of power existed during the late President’s medical absence because, the then Vice President Goodluck Jonathan could not constitutionally act for the President of Nigeria if no declaration was transmitted by the President to the National Assembly to that effect. As long as Yaradua remained absent, the office of the President under the unaltered constitution was docile and inactive; and all matters of state which required the president’s personal attention such as granting or withholding assent to a bill, could not be performed; and the activities of governance in the whole country was hindered. The polity was tensed, and one of the quickest and 1st amendment or alteration had to be made to the 1999 Constitution and sections 145 and 190 were altered to address the situation at hand. As a living instrument, the amendment of sections 145 and 190 of the constitution aimed at not just addressing the Yar’adua/Jonathan situation, but to stem any future occurrence of political vacuum in either the President’s or a Governor’s office and prevent any possible political strife. The 1st Alteration Act was obviously passed in order to legally pass the mantle of leadership to Jonathan as Acting President, so that we may have at that time and in the future, an ailing president/governor and an acting president/governor without tension. The National Assembly with all other stakeholders did a great job and passed that amendment into law..
(1) Whenever the President is proceeding on vacation or is otherwise unable to discharge the functions of his Office, he shall transmit a written declaration to the President of the Senate and the Speaker of the House of Representatives to that effect, and until he transmits to them a written declaration to the contrary, the Vice-President shall perform the functions of the President as Acting President. - By 145(2)/ 190(2), where the President or a governor deliberately or inadvertently went on vacation (for 21days or above), without transmitting a declaration to transfer power to his Vice/Deputy, or fall sick to a serious level that he cannot be able to even transmit a declaration transferring power, the National Assembly/House of Assembly “shall” (must) mandate the Vice President/Deputy Governor to perform the duties of the President/Governor in Acting Capacity. Neither the above sections, nor any other section of the constitution provide a time limit within which the President/Governor must resume his duty or a time limit within which his vice or deputy must stop acting. I listened to a program on radio on Monday 7/8/2017 and one of the discussant was suggesting that by the civil service regulations the President must resume work within 90 days. That is with all due respect erroneous because, no regulation is capable of altering the Provision of the constitution. The whole aim of the amendment of 2010 done during the Yar’adua saga was to forestall any future situation where people will heat up the polity for the president’s or governor’s absence or human imperfection due to e.g ill-health. This was tested when the former Governor of Taraba State Late Danbaba Suntai was seriously ill to a point that he was allegedly not aware of who was standing before him, his deputies Alhaji Garba Umar and Sani Danladi were only made the Acting Governors from 2012 till the end of their tenure on 29th May, 2015, with the Governor not recovering to take his position. That was done in Pursuant to the amended Section 190 of the Constitution which is similar to section 145 in the case of the President. Danbaba Suntai had been ill and could not resume his duties for about three (3) years with his deputies acting. Based on the history of ethno-religious crises of Taraba state, only God knows what would have happened if the other side of the state insisted that Danbaba must resume despite his ill-health or resign. In other words, the first alteration of the constitution was done to take care of the differences that exist between Nigerians. If we let the sleeping dog lie and allowed Danbaba Suntai to take care of his health for 3 years, why are we not willing to extend the same humane gesture to Buhari, having not violated any law? Looking at the moral ground, I know of no custom that proscribe a person from falling sick, which seems to be the only crime that Buhari is accused of committing. But there are laws and rules of morality abound that stand against stealing of public funds. These protesters would have shown more patriotism if they came out to compel the federal government to prosecute Obasanjo, Yar’adua, Jonathan or their families for allegedly squandering eleven trillion naira allocated to provide electricity for Nigerians as reported recently by Thisday Newspaper. In conclusion, the President is not bound whether morally or legally to resume his duty within any time limit without been properly certified by his doctors, and “resumption” or “resignation” are not the two options the President must choose. I pray that God give Acting President Prof. Osinbajo the wisdom to steer the ship of leadership of this country to the direction of development, and may He heal the President of all illness. God Bless Nigeria. Hussaini, a legal practitioner, wrote this piece from Abuja. Share your thoughts in the comment box.